I had a Jeep Cherokee through the 1990s that treated me well for many years - until it didn’t. As I drove its last 2,000 miles, the engine got loud and lost horsepower. It was clean that the end was near. Had it been available back then, I would have given it a dose of TriboTEX. But this is Space Age stuff built around nanoparticles that was only developed in the past couple of years. The creators of TriboTEX says it’s works like the ceramic protective coatings used in some of high-performance engines. It reduces friction better than engine oil alone while it repairs damage and reverses engine wear. The result, they say, is a quieter engine with at least 3 percent more power and improved fuel economy. 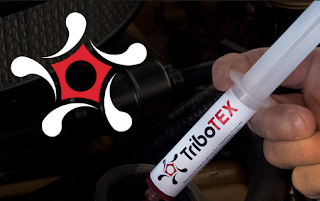 An injector of TriboTEX is slated to cost $99 when it reaches the retail market this summer. In the meantime, the developers have a campaign on Kickstarter where they have raised more than $90,000. Backers who pledge $50 or more will get one application, good for 40,000 miles.